This is going to be a little embarrassing – but it will also tell you a little story about psychology. Lately I’ve been spending a bit too much of my free time browsing online catalogues, stores, collections, and other places where pictures of vintage dresses can be found. I started out on a practical mission – to pick a wedding dress and be done with it, one less item on the to-do list. But over the past few days it has turned into an uncontrollable and unsatisfying time sink, with me further from the goal than where I was when I started out. 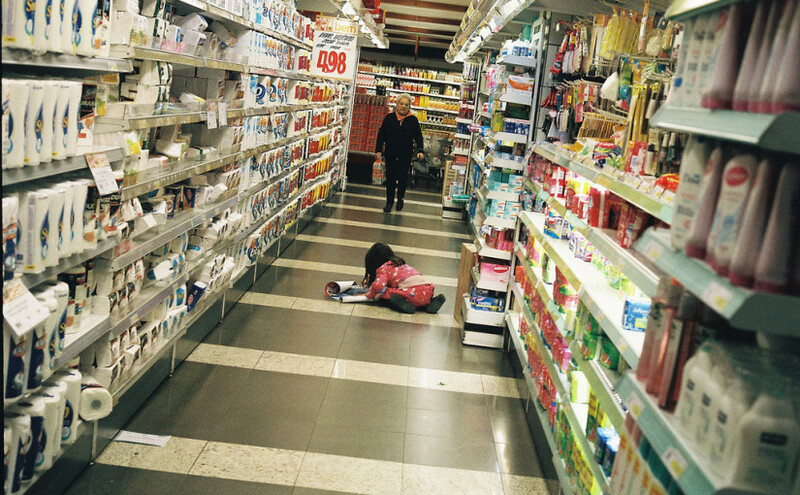 If you’ve ever been baffled by the shampoo or toothpaste isle in a shopping market, you’ve experienced this feeling. And a couple scientists even managed to capture it back in 2000. They went to a grocery store and set up a degustation table of exotic jams – customers who approached the table received a $1 voucher for a discount on any jam from the brand. This way the researchers could track how many people who participated in the tasting, ended up buying a jar. There was a variable, of course. What the researchers wanted to see was how the range of choice would influence purchase. The degustation table either had a small range of six jams, or a large assortment of 24 varieties. Unsurprisingly, more people approached the table when it boasted a huge range – but only 3 per cent of them ended up buying any. Meanwhile, a table with only six jam choices led to 30 per cent of participants buying one. This surprising effect came to be referred to as ‘choice overload’, also known as the ‘paradox of choice’. The researchers interpreted the results as showing that a large assortment can actually be detrimental in the decision-making process, and people are less likely to make up their mind and buy anything at all. A range of later studies found a similar effect with pens, chocolates, coffee, and other items. Furthermore, they also found that people who choose from a larger range may end up being less satisfied with the final outcome. It’s important to note that choice overload has been disputed as well, and not all studies find it to be a strong effect. For example, an important prerequisite for demonstrating the paradox of choice is a customer’s unfamiliarity with the items presented. If a person clearly knows what they want, a large assortment can actually lead to a clearer decision and more satisfaction, as opposed to choice overload. And, according to a 2010 meta-analysis of choice overload studies, the effect is not robust, and there are no strictly defined variables for when it does appear. In other words, sometimes choice does overwhelm us, but often having a large range is actually what we need. So, if you’re having trouble choosing something, try deciding first what it is that you really want. Of course, sometimes you can’t do that unless you browse and see what the options are first… Man, I hate shopping.